2009 Black, Canadian Warmblood colt. 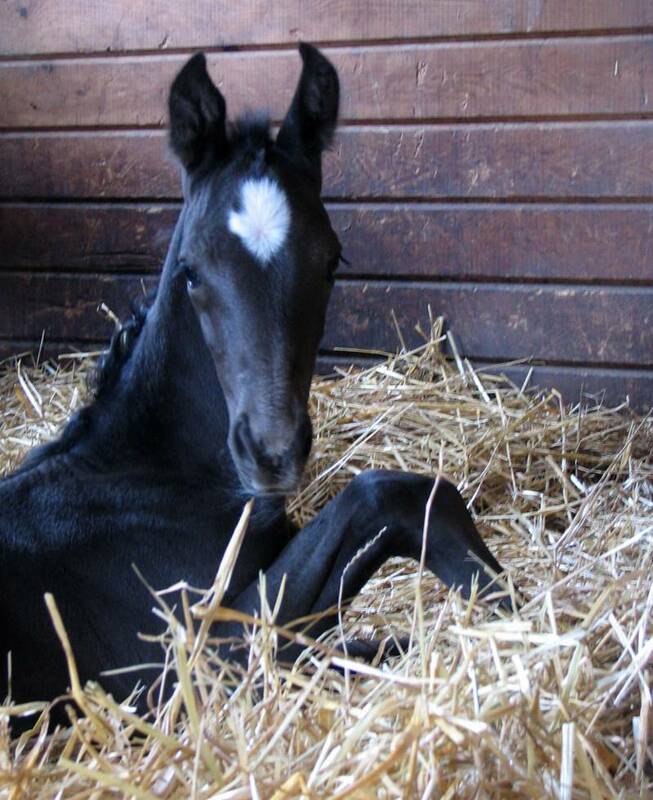 "Q", as he is affectionately known, is our second foal by our Dutch Warmblood mare, Tamerinde, and is by our stallion, d'Azanté. 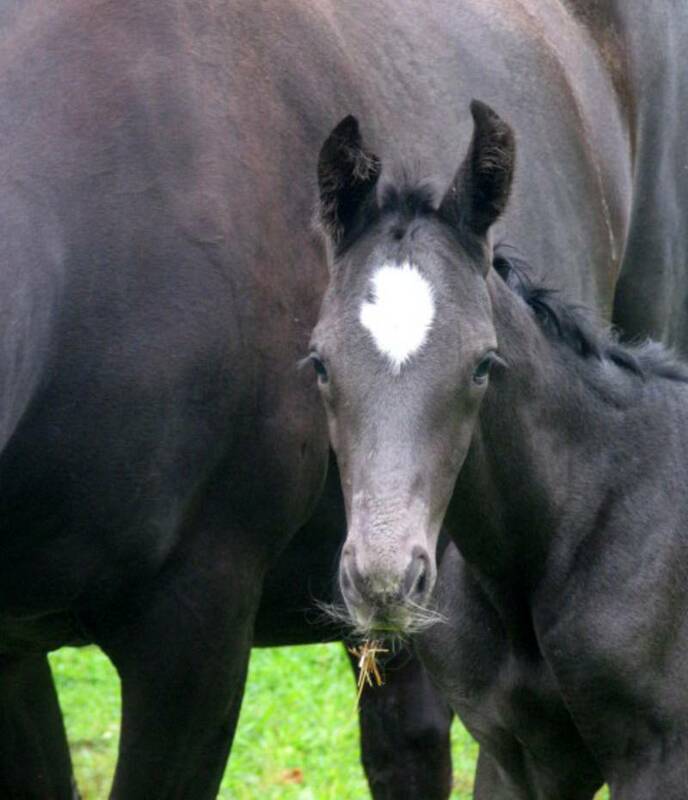 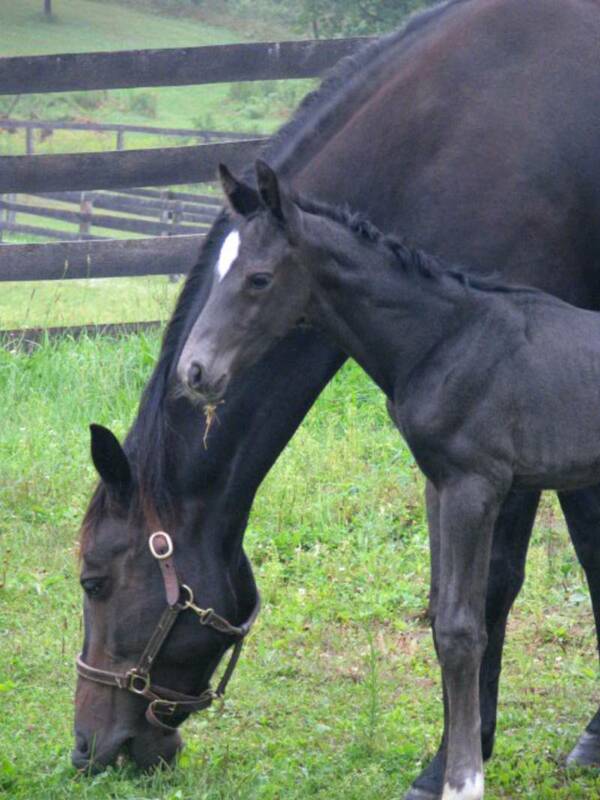 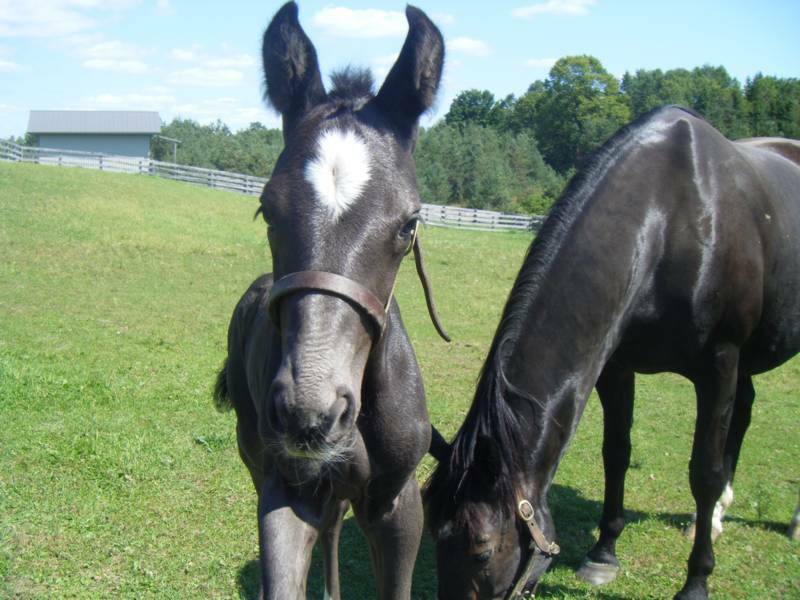 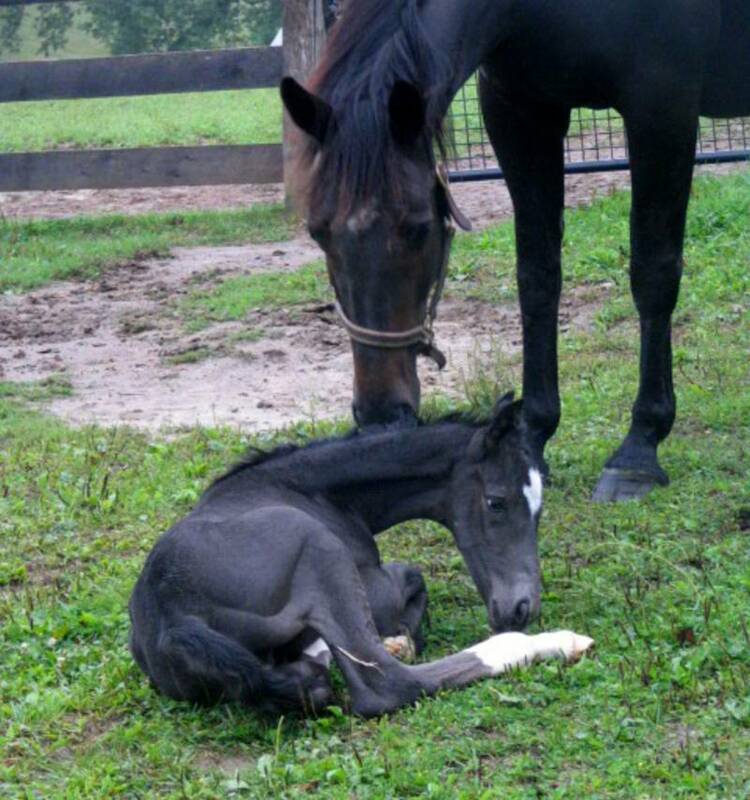 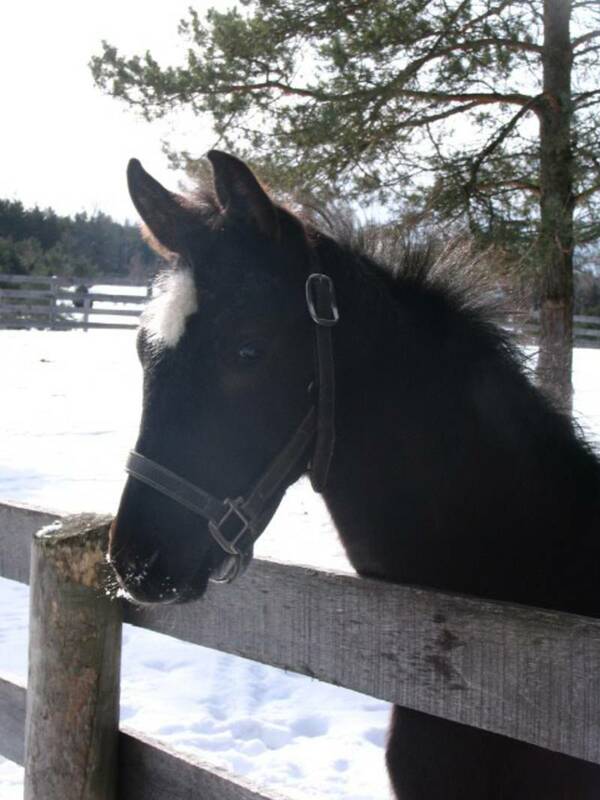 A lovely fellow, this tall colt is a spitting image of his father, black with a lovely white star on his head.